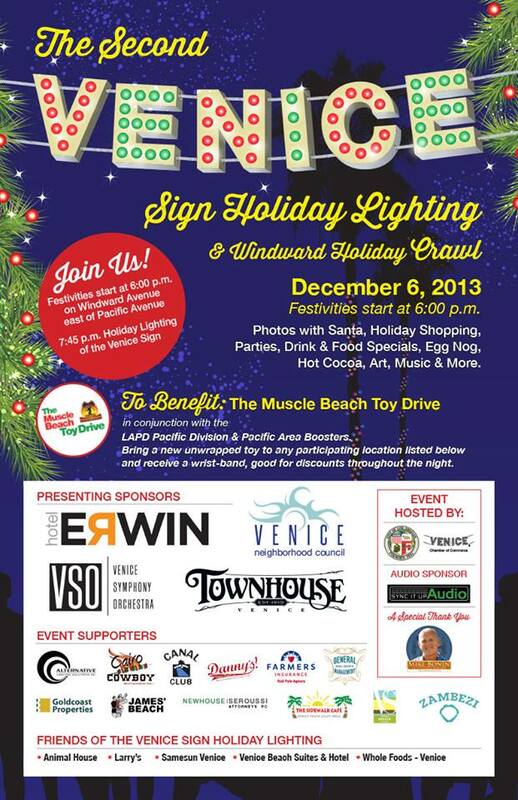 See you there Venice CA friends! 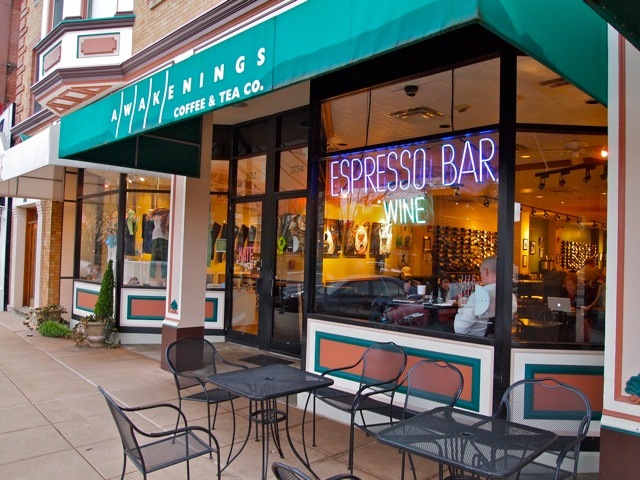 Looking forward to playing right there in the heart of my original neighborhood Hyde Park always great to play with Ron & Jan & Special Thanks to Jill for singing with us! photo by FRANCISCO LETELIER Thanks FRANCISCO! 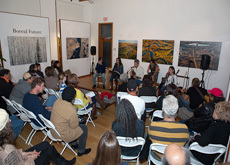 photo by MERYL LEBOWITZ Thanks MERYL! 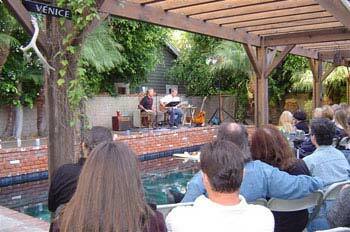 STARDUST HOUSE CONCERTS Welcomes VENICE! Contact Jaynee at Stardust email address above to reserve your seat! 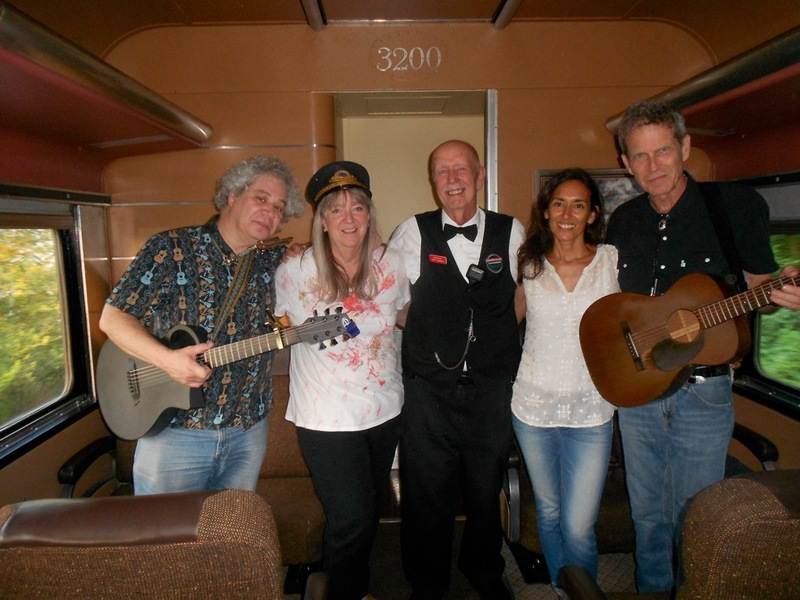 & Special Thanks to Ron & Jan for playing with us, that was fun! 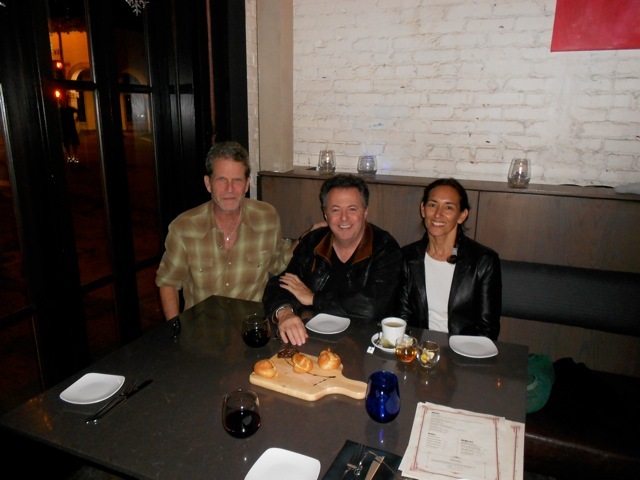 Thanks for having us Francisco & Mary! 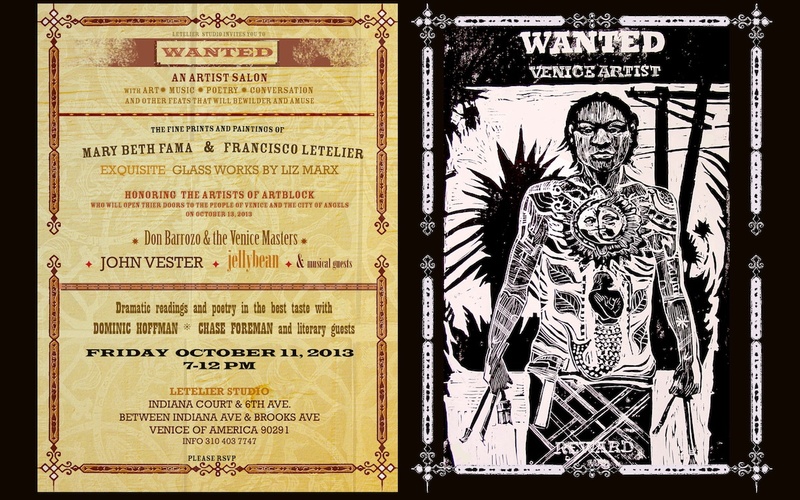 other local Venice artists are beautiful! HAVE A VERY SCARY HALLOWEEN! 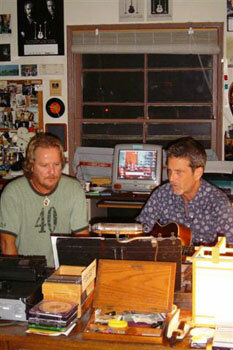 Hoping to complete my next album in 2013 with Bruno's help! Photo below shows us ending our set with Happy Birthday to my Mom, Eileen Vester on (the day before) her 84th! Our first in a limited series of pay for download EP pkgs. Asking your help to fund the production of my next album (#5 working title A PIECE OF THE SKY) with a donation of $15 or more in exchange for a download EP pkg. of early versions of new JOHN VESTER recordings selected from the best of unrecorded Vestertunes over the last 40 years. 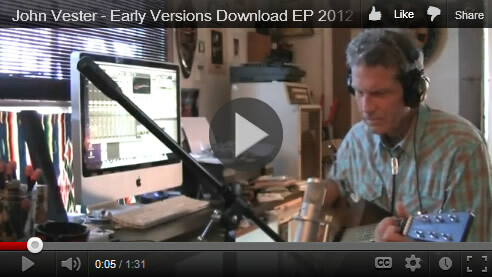 Please view our new video in support of our download EP by clicking on the image below. Thanks in advance for your donation! 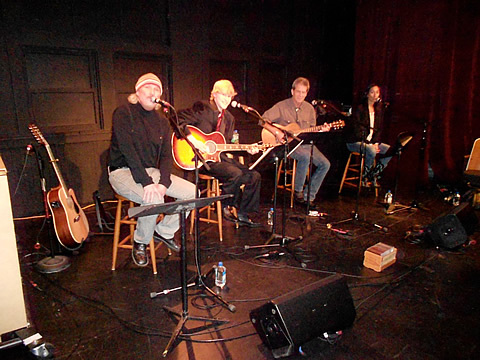 DECEMBER 2011: LISTEN NOW LIVE! 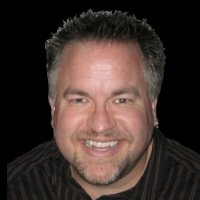 WELCOME ABOARD NEW WEBMASTER DANN GILLEN! HAPPY HOLIDAYS! ANNOUNCING: Thanks to our new Webmaster Dann Gillen, LISTEN is now fully functional for the first time! Get your Christmas orders in NOW! 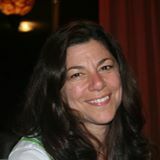 Welcome Aboard new Webmaster Dann Gillen! in the golden light just before sunset, it was fun! 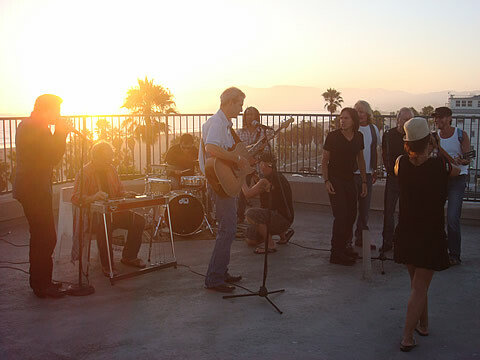 MARCH 2011: JOHN VESTER & FRIENDS In Concert with Special Guest BROOKE PERNICE 3/25/11 7:30 PM G2 Gallery Venice, Ca. 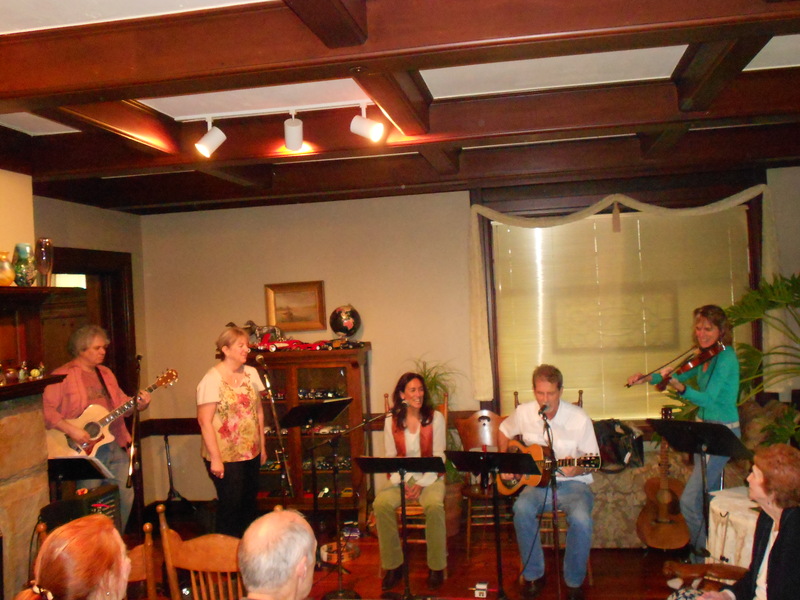 Private House Concert At the home of Dave & Marcia Kucia Cincinnati, Ohio. 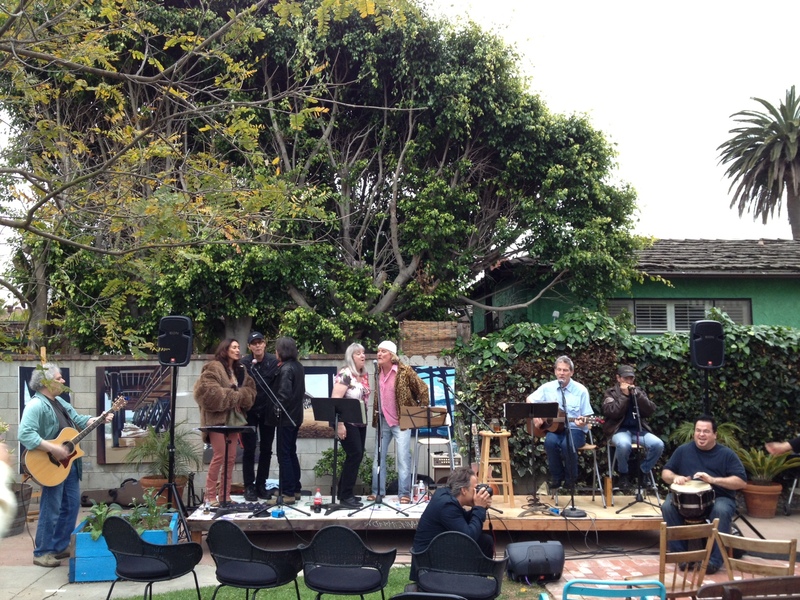 Thanks to all our family & old friends who made it to our festive holiday houseconcert/gathering of friends who haven't seen each other for years.... It was great to play for you all, & to see everybody again! 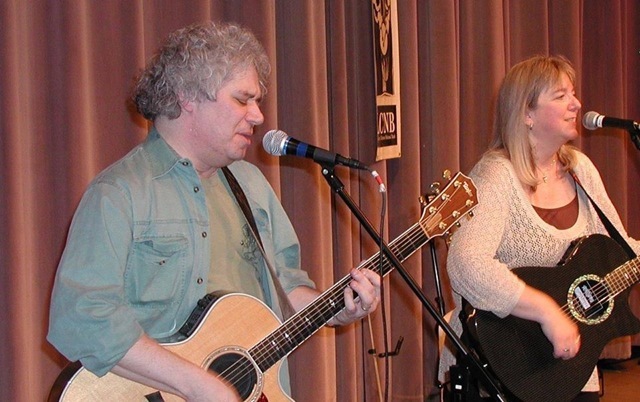 Live original and seasonal acoustic music by John and Maria Vester with Michael Lennon, Rich Mangicaro, and the amazing return of Stan Behrens! 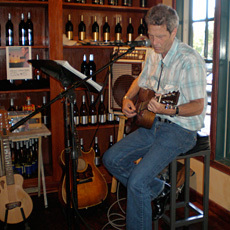 JULY 2010: JOHN VESTER SOLO SETS - 7/3/10 6-9:00 PM - Live at Lorimar Winery & Vineyards Temecula, Ca. 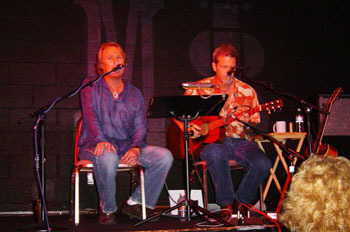 JV Live at Lorimar 7/3/10 Temecula, Ca. Lorimar Winery & Vineyards in Old Town Temecula, Ca. 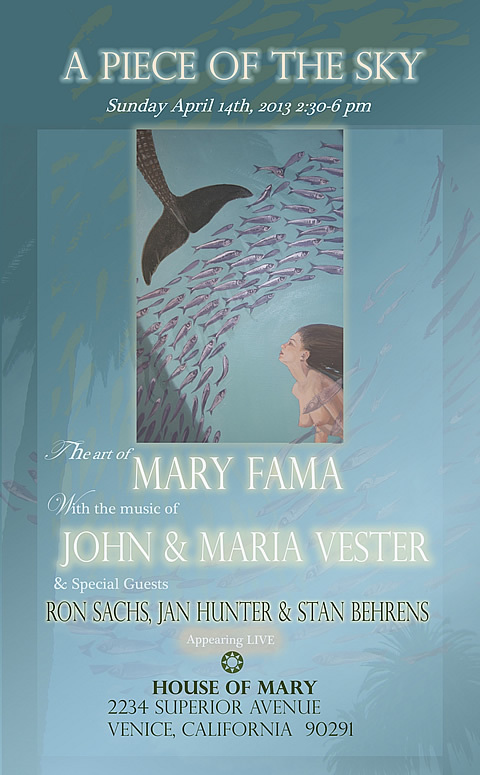 JOHN VESTER & FRIENDS: RICH MANGICARO percussion, CARL BYRON accordion, STAN BEHRENS harmonica, MARIA VESTER harmony vocals, with special guest MARK LENNON (when possible). 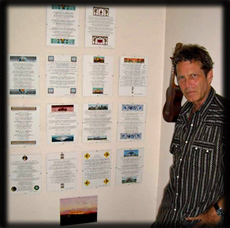 Will be in residence at the Stronghold in Venice the first 3 tuesday nights in December working out an eclectic mix of new songs that will become the next JOHN VESTER release on Venetian Records, working title: A PIECE OF THE SKY (with selections from John's previous releases). 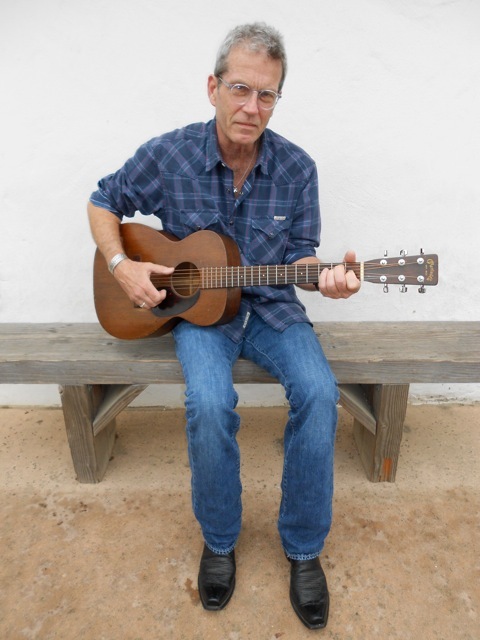 Local/Global songwriter TOM FREUND played his special brand of Folk Americana to very appreciative, growing audiences in a residency at The Stronghold every tues. at 10:00 in November. Please come out & help us continue this new tradition in December of live original music at this great new venue, & catch the earliest stages of a fun developing underground speakeasy Folk Americana concert scene in Venice! 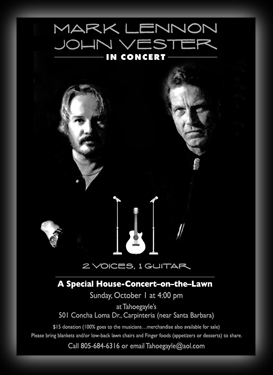 Please join us for a special evening of original music at our first appearance at this very nice venue in Ventura, Ca. 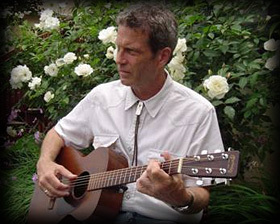 Please join us for a special evening of original songs (Folk Americana with widely varying influences) by Venice, California songwriter JOHN VESTER originally from Cincinnati, returning to play for old friends & family for the first time in 35 years! 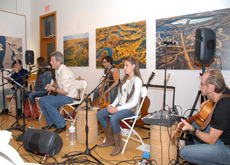 With MARIA VESTER singing harmony & Special Guests sitting in! E.J. 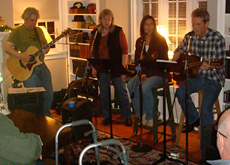 and Julie are thrilled to present our first ever house concert. 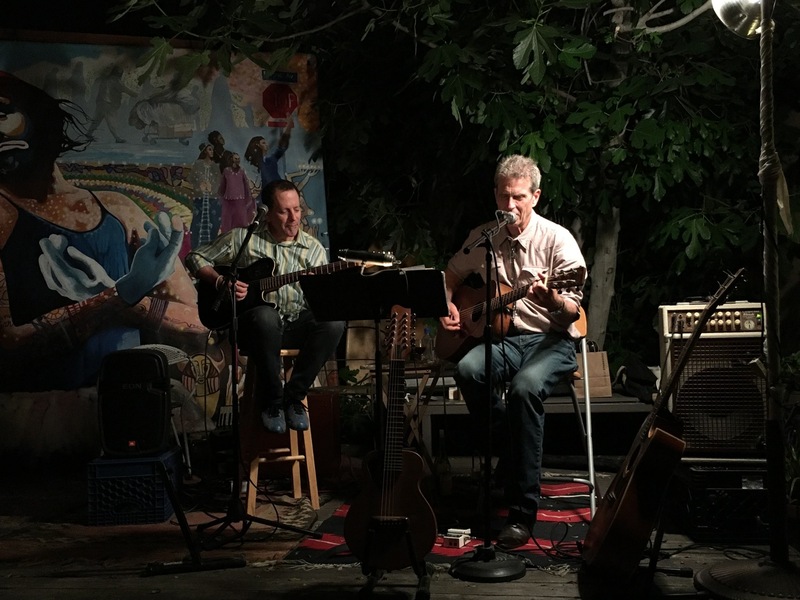 You are invited for a very special evening of original music (Folk Americana with widely varying influences) by Venice, CA songwriter and close friend (yes, he’s originally from Cincinnati) John Vester. 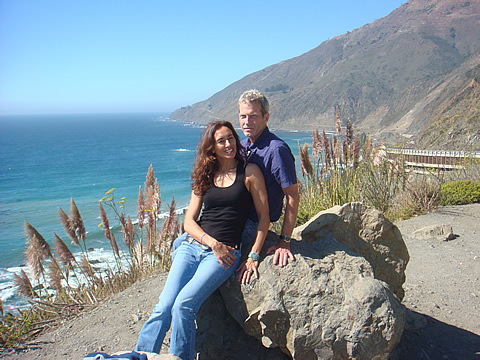 John will be joined by his new bride, Maria Vester who will be singing harmony along with some other friends sitting in. 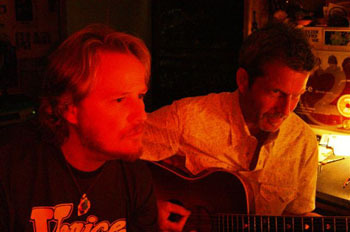 John and I have been great friends since the age of 15 and have had many escapades together that hopefully have not made it into any of his songs. 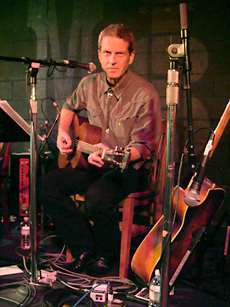 The evening will open with a few songs by Glaze and the Moonkings and then we’ll settle in for 2 great sets from John. Beer and wine along with great Hors D’ Oeuvres will be in plentiful supply and the suggested donation for the evening is only $15.00 per person. All the money will go to the feature act (it’s a long way from California). 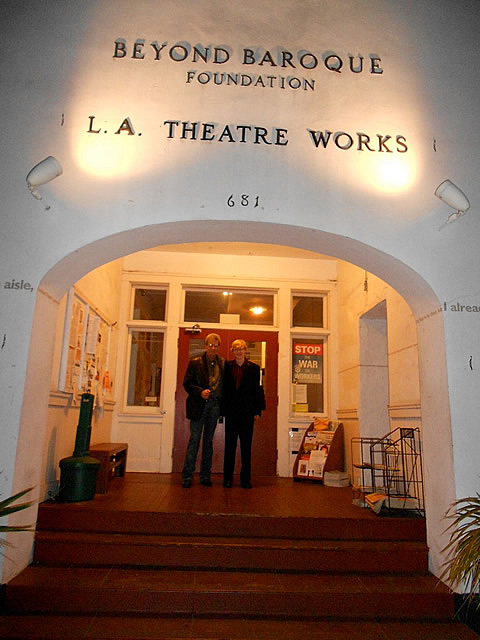 The house is open at 7:30 and the show will start at 8:00 PM. Please email ejglaser@charter.net or call 314 965 7959 to RSVP. 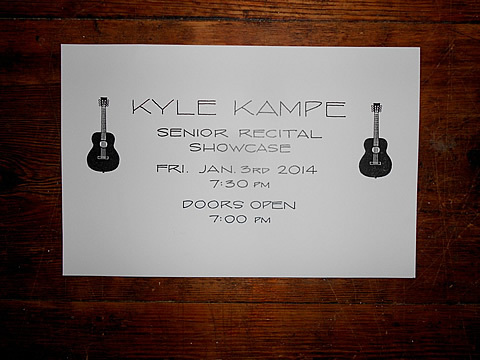 We sure hope you can make it for this special event. If you have any other friends you would like to bring – please do. 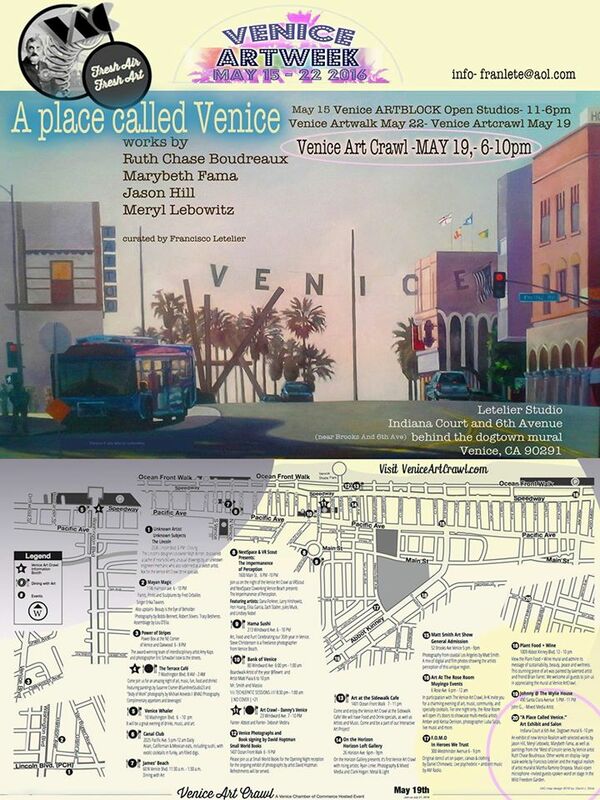 Please join us for an evening of fresh new original Venice music, & help us start up a fun new alternative concert venue at Ray's gallery right here in the heart of downtown Venice, Ca. USA! 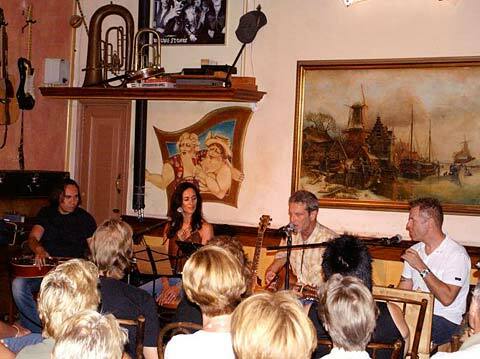 JULY 2009: JOHN VESTER & FRIENDS 7/2/09 9:00 p.m.
JOHN VESTER will return to Holland in July & will perform a special one show only concert July 2nd 2009 9:00 p.m. at De Harmonie, Edam. For reservations email to: info@harmonie-edam.nl or call: 0299-371664. 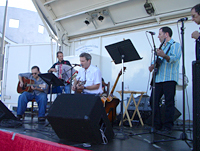 Featuring the first ever JOHN VESTER Dutch Quartet! 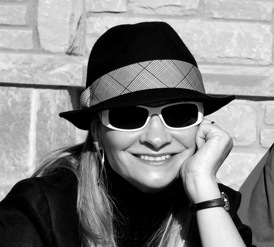 introducing MARIA VESTER on harmony vocals! 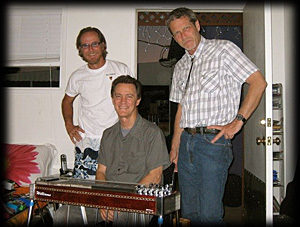 with the return of ANDREE MANUSAMA dobro & BEN BOUMAN harmonica Two sets with intermission will include a collection of very new songs that will become the next JV release---working title: A PIECE OF THE SKY & some old favorites. Please join us at this beautiful old venue in Edam for a special evening of music, a one night only intimate update on John's latest ongoing works in progress, & a happy celebration of the wedding of John & Maria Vester on our first return to Holland since our American/Dutch wedding! 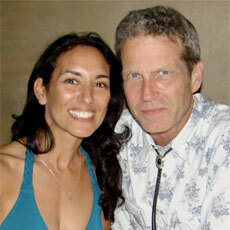 Featuring the return of JIM WEST on guitars & lapsteel & introducing MARIA VESTER on harmony vocals! 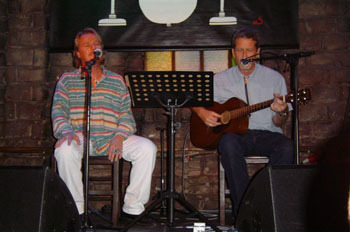 w/Special Guest MARK LENNON! 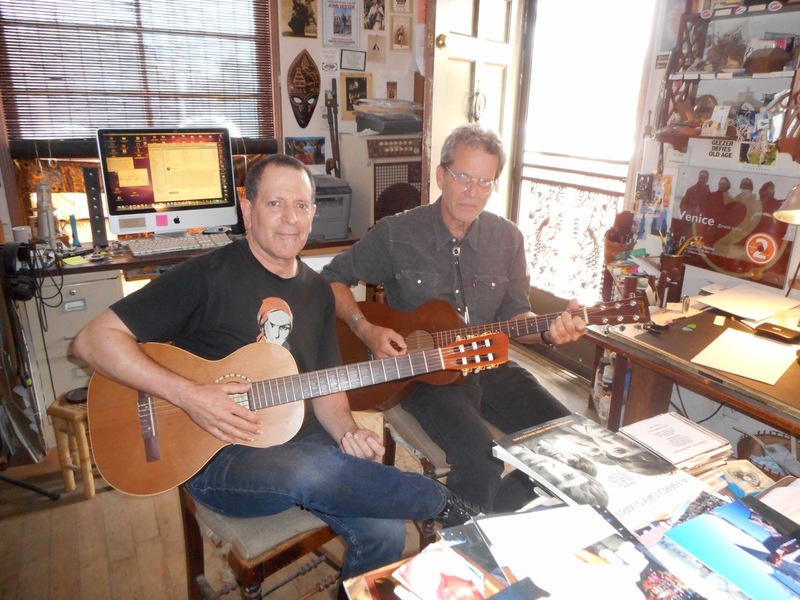 Trilogy Guitars is a beautiful, intimate (60 max), triangular shaped, great sounding venue, run by very nice people, at the beach in Playa that will sell out, so call/email for tickets NOW! 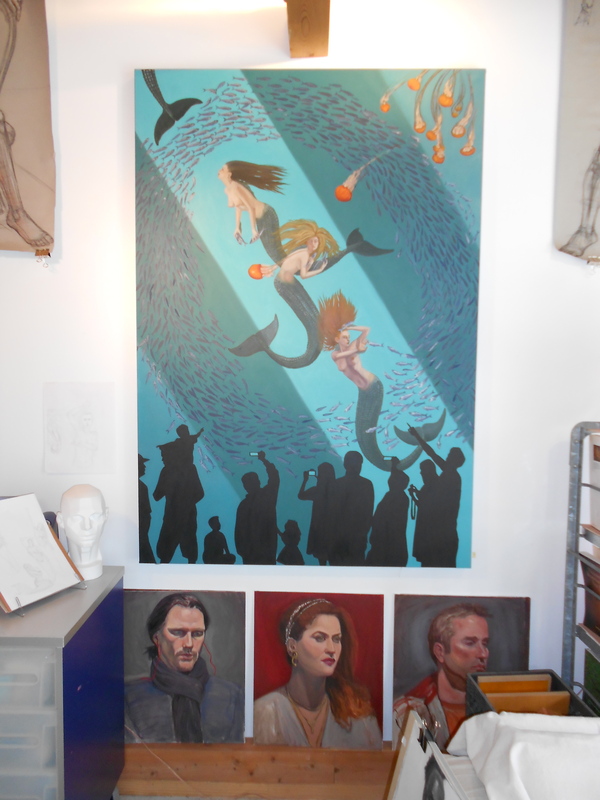 and some very new works in progress. our hood with our first show of 2009! DECEMBER 2008: First Annual Animal House Christmas Party! 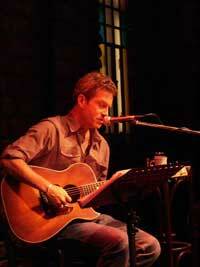 SEPTEMBER 2008: JOHN VESTER: All The Way Out West on CD Baby Editors Picks! New release now available on CD Baby, itunes & amazon.com (full jv catalog will be available at CD Baby & affiliates asap). Don't know why we waited so long to make John's work available on CD Baby --- but as soon as we did --- CD Baby responded with the (brilliant!) review below & put us on their Editors Picks. It's good to hear that someone out there (at CD Baby) is listening. Thanks CD Baby! 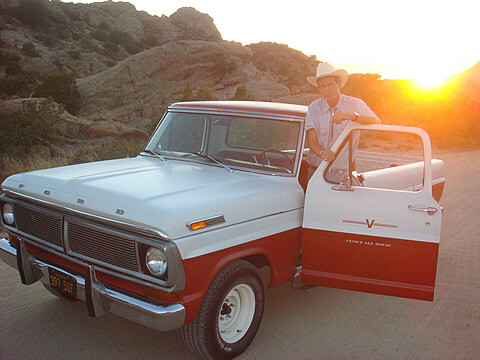 We love your "JOHN VESTER: All the Way Out West" CD so much that we're featuring it in our Editor's Picks section from now on. We're *really* picky about what we feature. We get about 200-250 new albums a DAY coming in here now, (about 200,000 total), and yours is one of the best we've ever heard. With a seamless blend of Eastern and Western influences, John Vester has created a delightful, thought-provoking album that's reminiscent of George Harrison and Rufus Wainwright. Vester has Harrison's knack for serpentine, sinewy melodies that are wonderfully melodic, yet crafted with enough skill that you'll love to listen to the album on repeat a few times, so that you can sing along. "Put All Your Heart In A Song" features a droning tambura, wiry violin, and some backwards guitars, all working together to give it a distinctly psychedelic folk/rock, late 60s feel. The first five songs on the album continue with the middle-eastern vibe, but the album takes a bit of a turn on the title track, which is straight up countrified Americana, with layered chorus harmonies, like we might hear from the Traveling Wilburys. 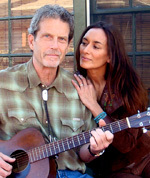 From there, the album continues with a stronger western feel, with harmonica, pedal steel guitar, and luscious harmonies on songs like "Warm & Tender Lullabye", while "I Wish I Was Back Home In Cincinnati" feels like an early 70s Dylan track, in the best way. We find dobro, violin, accordion, and even bagpipes adorning the rest of the album, and the rich diversity of instruments help convey the east-meets-west feeling of the album. Vester's vocals have an honest, earnest quality that is, again, reminiscent of the latter days of George Harrison. It sounds like Vester has spent a good amount of time honing his craft, and this album deserves to be listened to. We're very proud to be selling your music at CD Baby, so if there's anything we can do to help, please let us know. The new release & first ever JV Dutch ensemble were warmly received by our friends in the Netherlands---special thanks to Maria, Andree & Debby, Ben, Matthijs, Niek, Koos & Xenia, to the venues, to our new friends we made in in Holland this trip & old friends who continue to come to our shows over there. 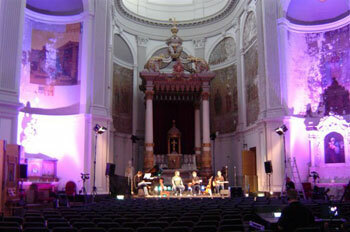 (JV Holland Tour #6) That was fun! Proost! Sat. April 19, 2008 8:00 p.m.
Thurs. Apr. 24, 2008 9:00 p.m. Sat. Apr. 26, 2008 7:00 p.m.
Fri. May 2, 2008 8:00 p.m. 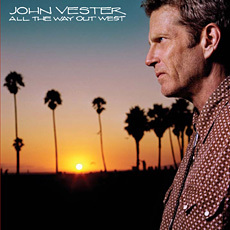 Celebrating the 3/30/08 release date of John Vester's best work to date ALL THE WAY OUT WEST. 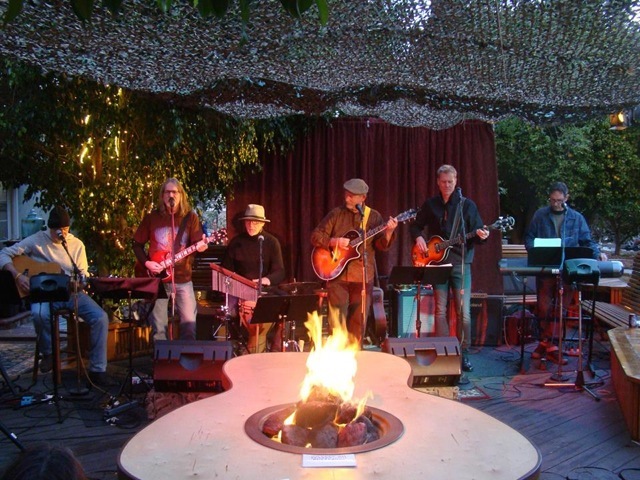 Playing with good friends who played on the record at one of the coolest venues in the world! We'll play songs on the new record, dust off some chestnuts, & reveal some very new works in progress This will be a fun show! The best JV concert ever! 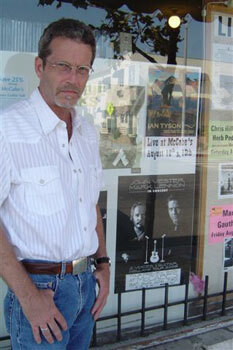 & The Release Concert at McCabes is the send-off to the upcoming ALL THE WAY OUT WEST Holland Tour apr. 16th-may 6th 2008! 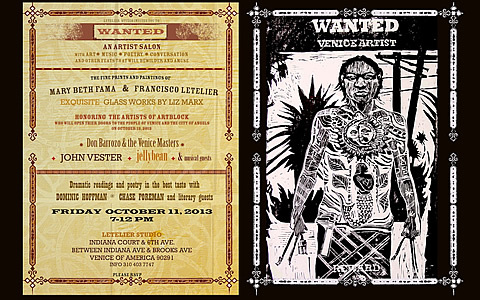 This promises to be a special evening of introducing new songs on the 2008 John Vester release ALL THE WAY OUT WEST. Produced by Michael Lennon & John Vester. We'll dust off some old chestnuts --- and we'll debut some very new works in progress. 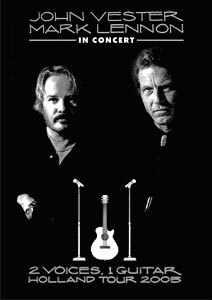 Trilogy Guitars is a beautiful, intimate (60 max), triangular, great sounding venue that will sell out quickly - call/email for tickets now! 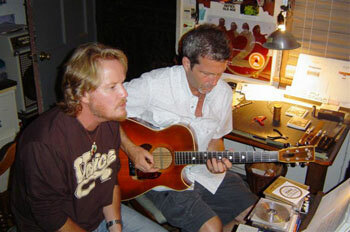 The cool new label that John Vester has signed with NOVATUNES officially launched 1/14/08. 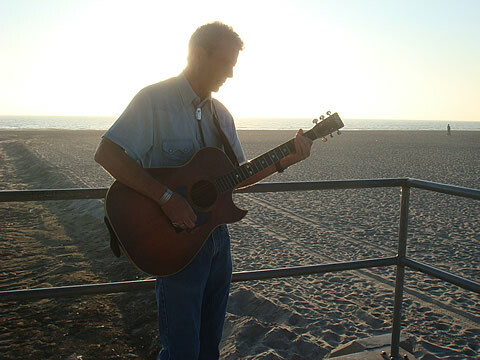 Go to: novatunes.com & click on John's photo in artist directory (pg. 3) to get to his artist pages at the label. You can do that without signing up. Sign up at novatunes to download the new DP (digital version) of ALL THE WAY OUT WEST! 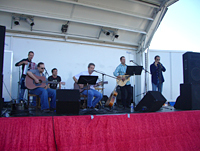 As of January 2008 the sign up for VESTERTUNES email list is now working again. Please sign up by clicking the VESTERTUNES icon to the right. 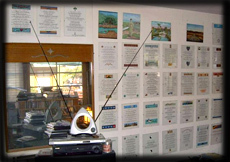 You will then receive an automatic response requesting to send your e address to VESTERTUNES to be notified of upcoming concerts, releases, and news. 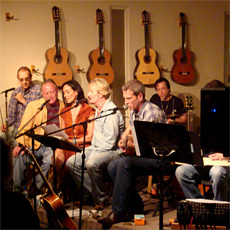 DECEMBER 2007: ALL THE WAY OUT WEST NOW AVAILABLE! Advance copies of John Vester's 4th solo release now available at STORE -- prior to official release date TBA! 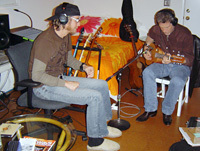 Recording Pat, Kipp & Michael Lennon - night session 6/19/07. 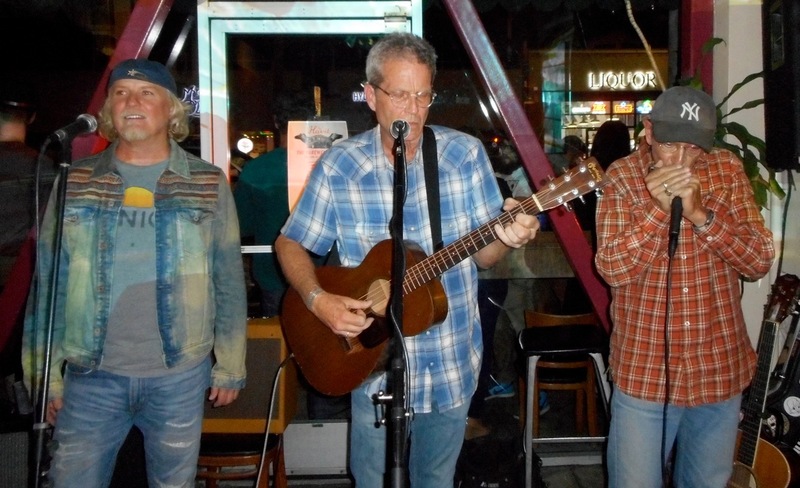 Work in progress: All The Way Out West (Fittingly---all 4 Lennons in the band Venice lend their voices to this new snappy little tune about Venice, Ca. 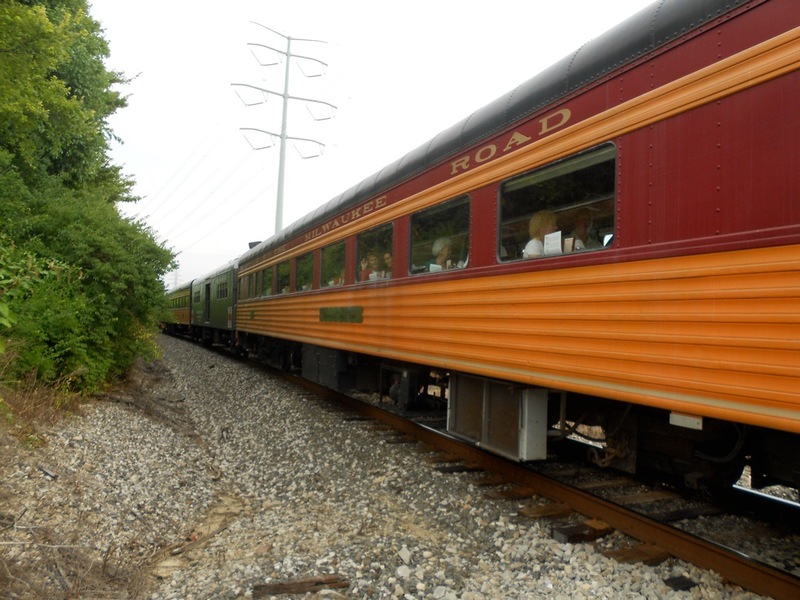 USA --- & give it a rousing hometown chorus!). 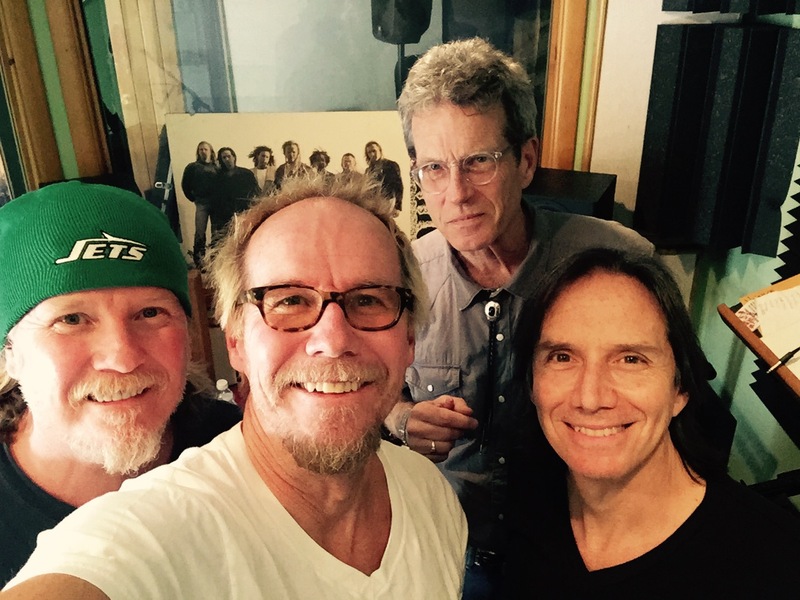 Thanks again to Michael, Mark, Kipp & Pat---Great to have all 4 of you on this record! 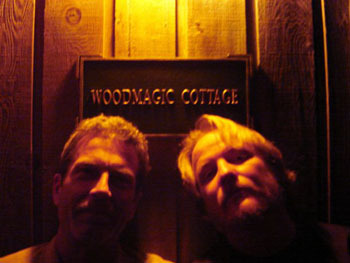 After a long, late night session of getting quick mixes of all 14 work tracks 6/27/07. 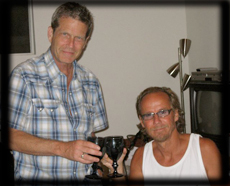 On 1 CD for the first time---John Vester & Michael Lennon toast to: the next John Vester CD: THE DEVIL'S PLAYGROUND RECORDING: COMPLETED! 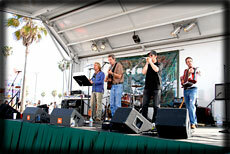 Free outdoor concert in downtown Venice, Ca. 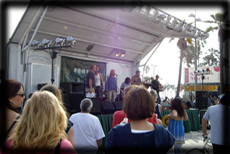 stage at Windward & Ocean Front Walk. 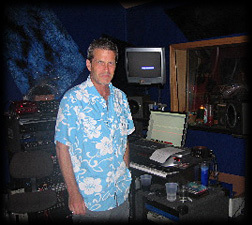 Michael Lennon is great to work with - a serious, no nonsense, nose to the grindstone co-producer who doesn't monkey around in the studio. Nijega, 12/23/06: Fond Farewell to t'Kommissiehuys Concert. 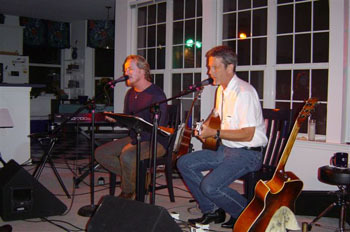 JV was the first artist to perform at t'Kommissiehuys in Nijega when they opened in 2002, and the last to perform there at the Fond Farewell Concert 12/23/06 --- closing in 07. 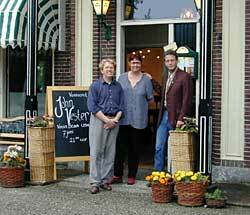 Nijega, 12/23/06: I Don't Want To Say Good-Bye to good friends Joke & Rienk Vroegop (owner/proprietors of t/Kommissiehuys in from 2002-2006). Amsterdam, 12/24/06: Christmas Eve in Old Amsterdam upstairs window seat at Cassa di David overlooking the Christmas lights on the bridges across the Singel Canal. Beemster, 12/27/06: Houseboat Concert outside canal view at sunset w/Maria Manusama (Special thanks to Niek & Maureen for the Indonesian feast and for having the [first ever?] 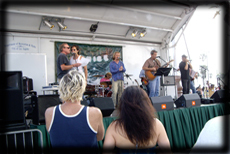 houseboat concert on your boat). 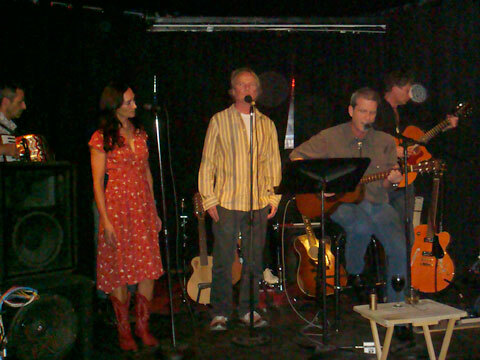 Beemster, 12/27/06: Houseboat concert w/Andree Manusama. 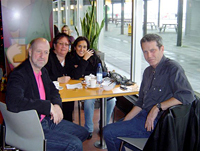 Schiphol (Amsterdam Airport), 1/1/07: w/Maria Manusama and Koos and Xenia Groot pre-return flight after a very successful December 06 mission to Holland. Extra Special, heartfelt thanks to Maria, Koos and Xenia (December 06 jv Holland team) for everything.... and thanks to everybody who came to the December 06 Holland concerts! 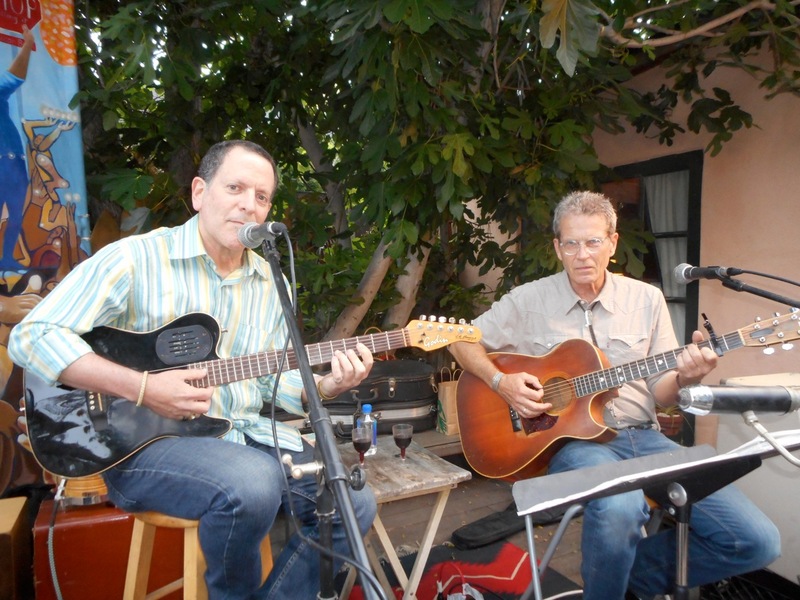 MARK LENNON & JOHN VESTER HOUSE CONCERT CARPINTERIA, CA. 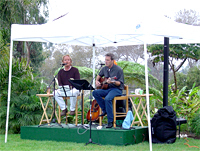 501 Concha Loma Dr., Carpinteria, CA. 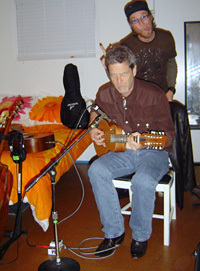 Working at Chris Horvath's Jamnation Studio in Mar Vista, Ca. - 8/23/06. New work in progress: Beeswax Is My Beeswax. SAT. OCT. 22nd 7:30 P.M.
FRI. OCT. 21st 7:30-10:30 P.M. SAT. OCT. 15th 4:30-7:00 P.M. 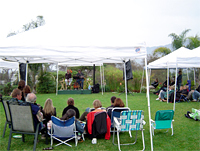 The concerts start at 8:30 p.m. (afternoon at 3:30). 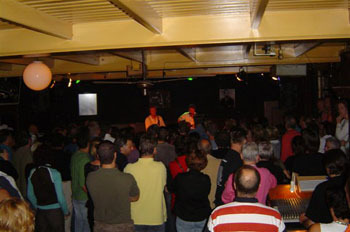 The shows can be attended after ordering an entrance ticket from the organization. The entrance fee is Euro 15 including service costs. 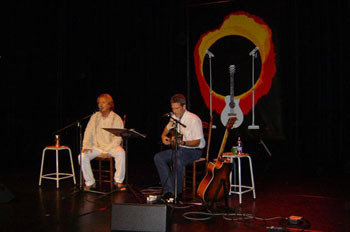 A maxi-single cd featuring the 2 voices & 1 guitar ofJohn Vester & Mark Lennon has been recorded & produced exclusively for the tour. This cd is only available during the concerts & can be ordered with tickets for Euro 3 (before july 1st) or separately for Euro 5 after that date. right here in the heart of downtown Venice, Ca. 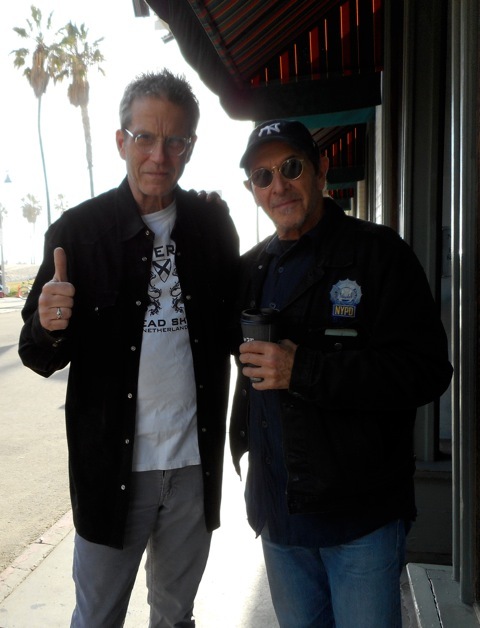 Thanks very much to my good friends Michael, Mark, Kipp & Pat Lennon, the Band Venice & to their Mgr. Marcel Albers for my first gold record award which now hangs proudly on my wall & Special Thanks to Maria for delivering the gold record in person all the way from Holland to Venice--- it's heavy! 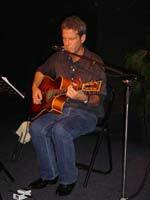 [Friday, Juni 18 2004] John Vester successfully finshed his tour for the promotion of his new CD in Holland. Below you'll find photos of this tour. Click on the photos to enlarge. 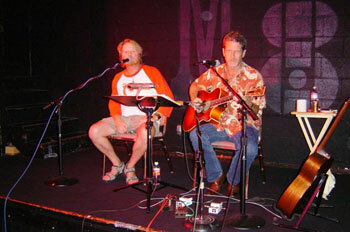 [Friday, May 31 2004] John Vester has arrived in The Netherlands for the promotion of his new CD. "Very Exciting", says John, who has been to Amsterdam before, many years ago. Yesterday (Saturday) John and some friends checked out Amsterdam all day and a great part of the night. "We had a great time", says John. "Many things changed, but the atmosphere is still the same. You get a great feeling of freedom in that city..."
Tonight (Sunday) he will do his first show in The Netherlands at The Troubadour in Hardenberg. You can find more information about the dates and details on the venues on our tourdates page. Click here to go there. Sign up for John's mailing list 'VesterTunes'in order to receive last-minute information about tourdates and other interesting Vester news. On behalf of John Vester himself we wish you all happy holidays... 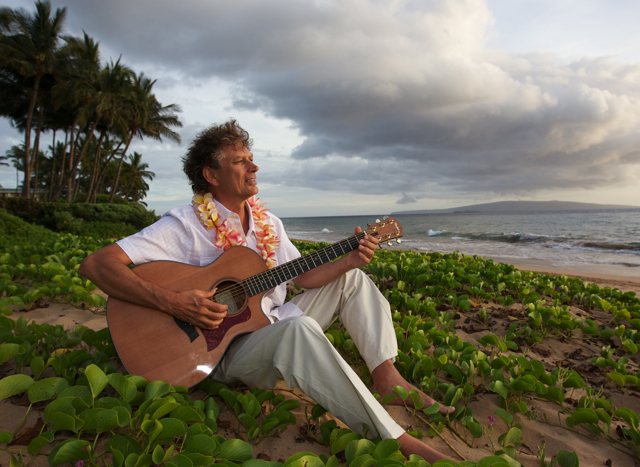 If you're on the VesterTunes mailinglist, you will probably have received John's personal message by e-mail. John has big plans for the new year that's almost here. 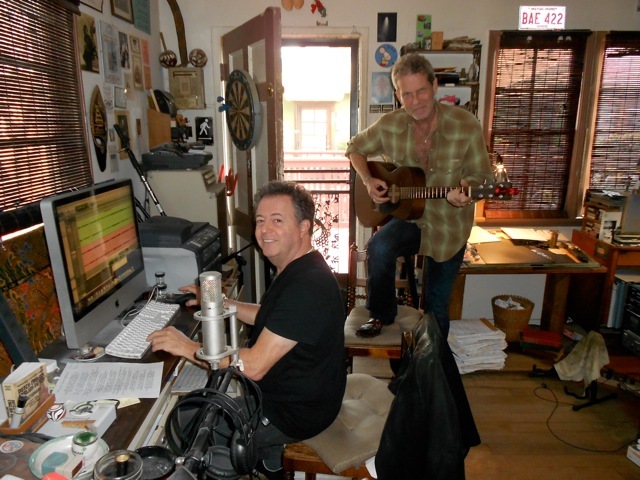 At any case there will of course be a new CD, the long awaited 'Road To Where You Are'... Early january he will go into the studio again with Michael Lennon, to record a couple of tracks that were still missing on the wish list. 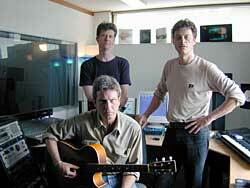 Also they will add additional instruments on previously recorded tracks. 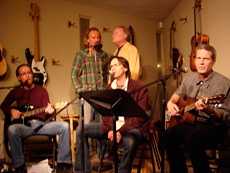 For now: download John's very special XMas-present for you: a free mp3 of the prolific song 'John Christ', recorded live at the Crossroads Radioshow in Bergen op Zoom, The Netherlands, on January 9, 2003! Click the link below to download the song! 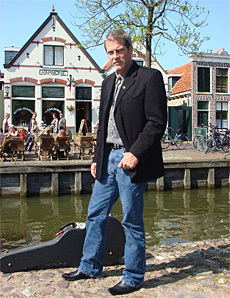 John Vester will do some shows in The Netherlands again. He accompanies his friends of the band Venice on their trip to the lowlands by the sea for their traditional Christmas Holiday Shows. 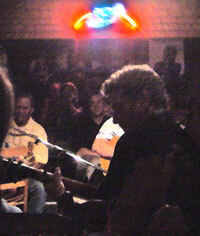 But with one big difference: John will stay a week longer to do four solo shows in 2003!. Of course John will be at the Venice shows (and who knows he may even play a tune with them), but more important are his own shows: he's eager to let you hear the new material he's written the last couple of months. Of course he hopes to see his Dutch fans at the Venice shows and at the fanmeeting in Hardenberg. 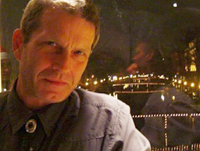 Starting on January 8, he will do four shows in Enschede, Bergen op Zoom, Nijega and Arnhem. There may be one more show, possibly in Amsterdam, but seating will be limited. See the Dates Page for more information of dates and venues. 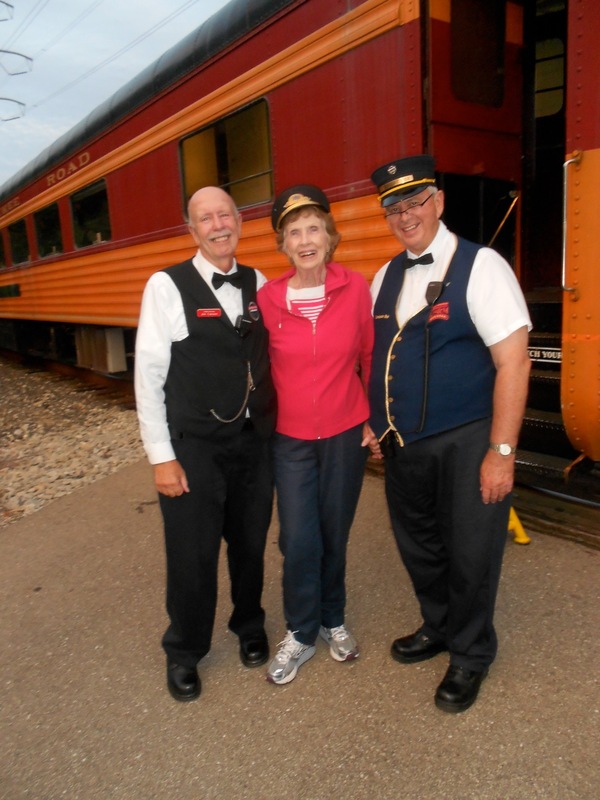 sign up for "VesterTunes" to learn more! 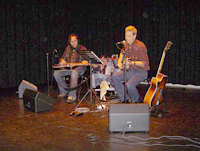 [Sunday, June 30 2002] During his trip in The Netherlands John Vester recorded twelve songs at the Murekla Studios in Alphen aan den Rijn, or as John called this city: "Alphen in the Rain"... These recordings will be made available for download in MP3-format in the upcoming weeks. There are some simple "terms and conditions" for everyone who wants to download these songs and - if you have them all - burn them on a CD. 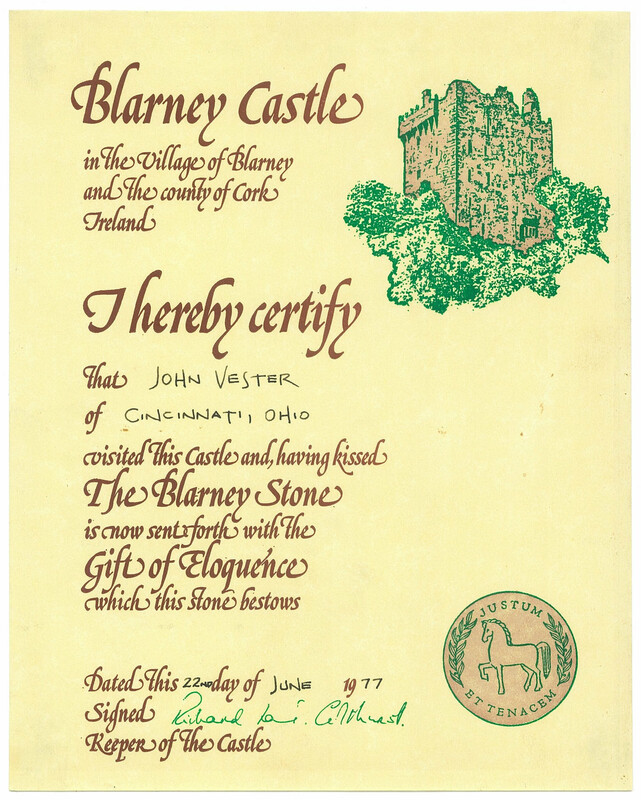 You can read about that in John's email newsletter "VesterTunes". If you did not yet sign up for "VesterTunes", please do so: there's no other way you will be able to join the project. Later this week all subscribers will receive a VesterTunes edition with more information. Click the button on the homepage to sign up. 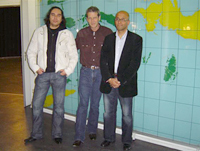 John with Axel and Arjan of the Murekla studios after the recording session. 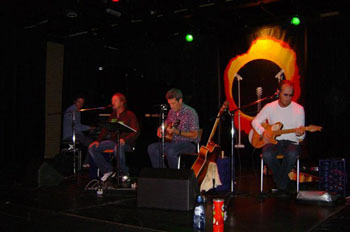 Vester Returns to The Netherlands: four solo shows in January 2003. 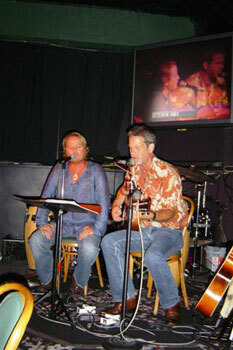 [Saturday, June 29 2002] John Vester travelled to the Bahamas yesterday with Michael Lennon's wife Danielle. 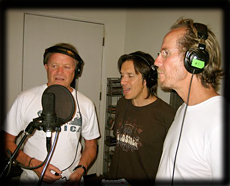 He was invited to come over to join Michael and Mark Lennon who are still working with producer Terry Manning on the new Venice CD at the Compass Point Studios, near Nassau in the Bahamas. John: " We narrowly made it through both overbooked stand-by situations with Danielle, but we're finally here with Michael & Mark in this beautiful tropic island paradise. Yoday is a day off, so the four of us spent the first part of today at the amazing white sand beach across the street from the studio, swimming in the warm, crystal clear turquoise blue water under the hot sun with gentle tropic breezes. Tonight we'll go take a look at Nassau and mixing begins tomorrow". 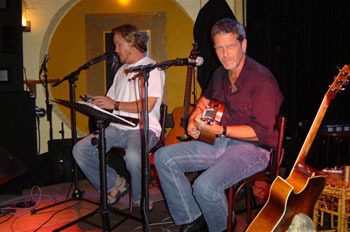 [Wednesday, June 11 2002] After a succesfull mini-tour of the Netherlands, John flew back to the United States on Tuesday. It was hard for him to go: he loved the country, the atmosphere and the audience. 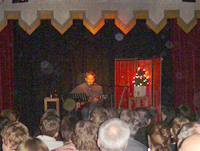 The enthousiastic reactions to his performances were ecouraging: John will certainly come back to The Netherlands. After recording the Two Meter Session, last Friday, John headed to the northern part of The Netherlands, to the village of Nijega in the province of Friesland. 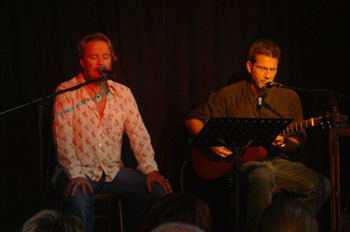 He performed at the Gallery 't Kommissiehuys, a beautiful old inn, that was filled with music lovers. 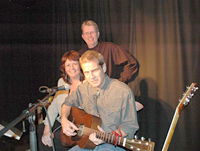 John before his show at the gallery in Nijega, with owner Joke Vroegop and her husband. 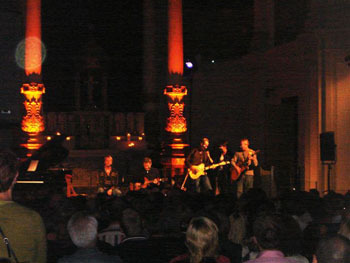 Saturday, June 8, John performed in 'Onder De Toren' (Below The Tower) in Terborg. 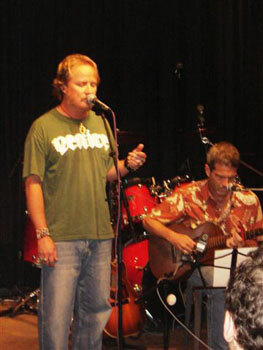 He was accompanied by guitarplayer Michael Geurtzen of the band Boogie Trap. 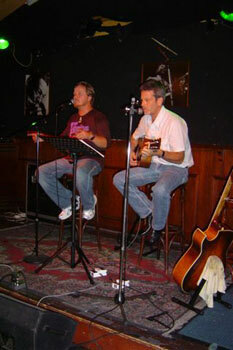 Sunday John played at 'Down Under' in Doetinchem, where he was also joined by Michael. 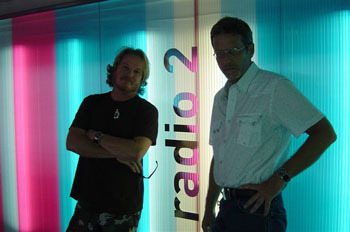 [Friday, June 7 2002] This afternoon John Vester will be in Hilversum (the Dutch Radio & TV-City) to tape a Two Meter Session. 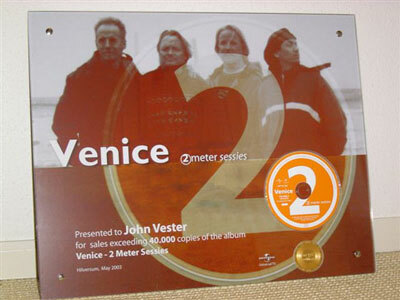 John was invited by Jan Douwe Kroeske, who was also responsible for the Venice Two Meter Sessions. 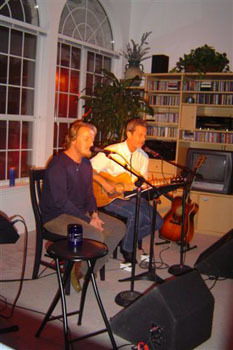 Jan Douwe met John for the first time when the TV team was in California for a "Venice TV Special." 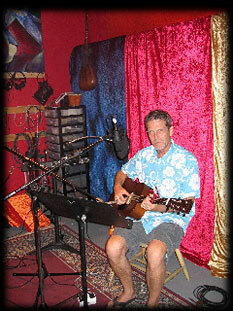 Earlier this week, last Tuesday, John recorded twelve songs at the Murekla studio's. 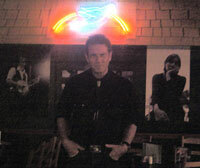 These songs will be made available for download at this site in the near future. 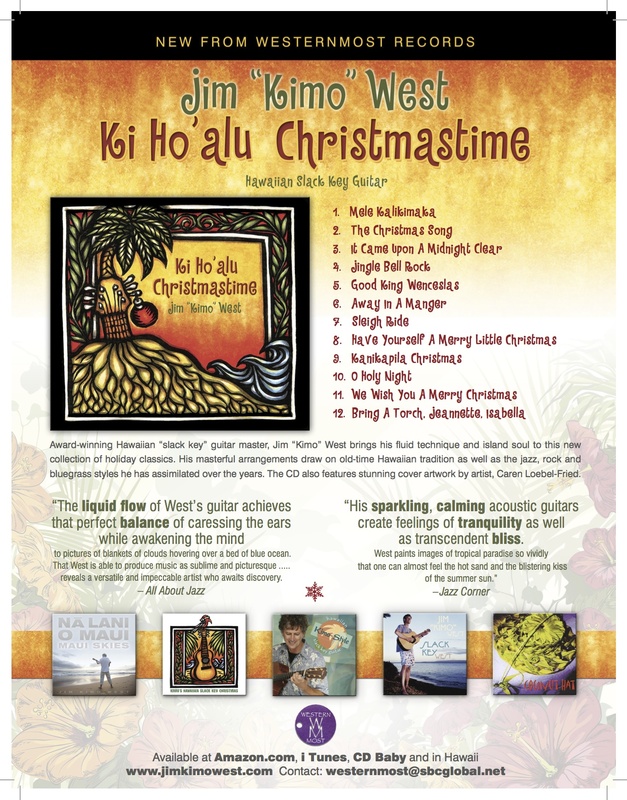 Sign up for the John Vester email newsletter "VesterTunes" for more information about these high quality MP3's. BRTO studio's in Bergen op Zoom. 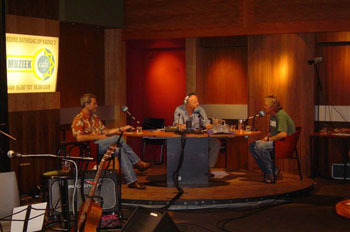 Yesterday (Thursday night) a radio show was recorded at the BRTO-studio's in Bergen op Zoom. This show, including an interview will also be made available through this website, after it is broadcasted. We will let you know more soon about this. 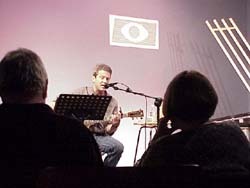 [Wednesday, June 5 2002] About 40 people attended the invitation only Vester show at De Waag in the center of Amsterdam. De Waag is one of the oldest buildings in Amsterdam. 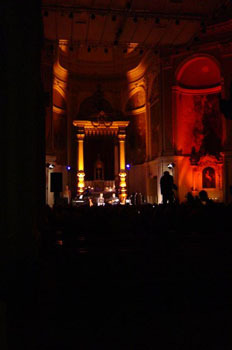 The show was in the "Theatrum Anatomicum", a beautiful round room in the top of the building. 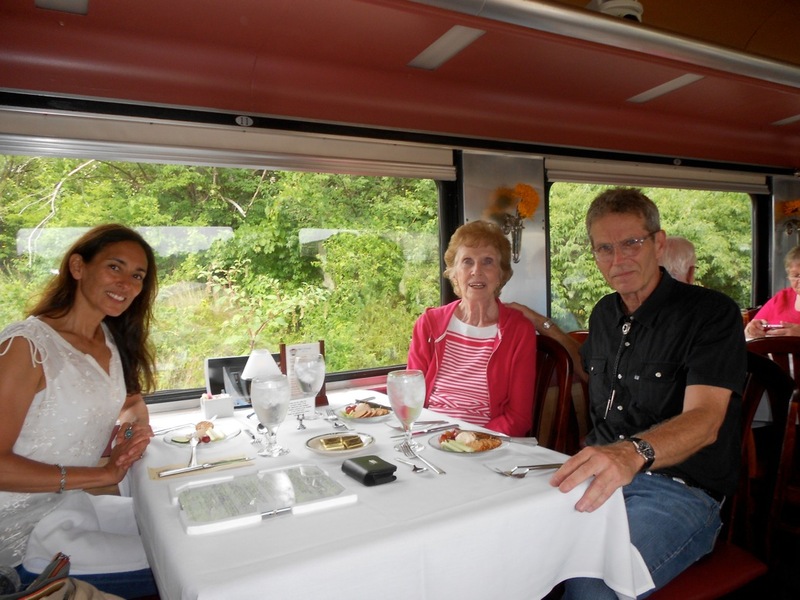 At that very same location the famous Dutch painter Rembrandt painted his "Anatomical Lesson." 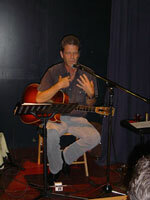 John played two sets for a quiet, but enthousiastic audience. And some funny things happened during the show... You can find a couple of reviews at the review page. Click here to go there. 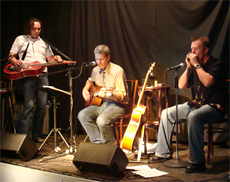 [Monday, June 3 2002] John Vester did his first ever gig in The Netherlands at The Troubadour in Hardenberg last Sunday (June 2). 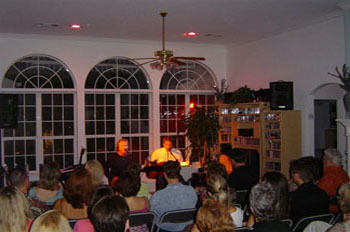 About 70 people attended the show. 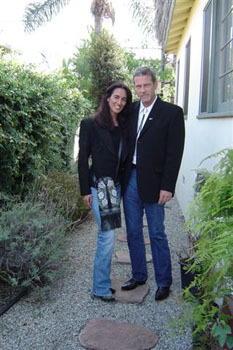 Many of them fans of the band Venice, who knew John at least by name, because of the songs he wrote and co-wrote. But it must have been somewhat unclear for them what to expect. 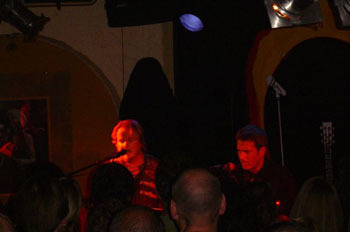 John performing at The Troubadour in Hardenberg. It was a perfect start for his promotion tour of Holland. 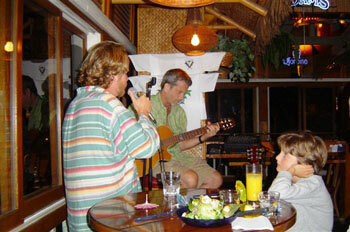 But after the first song they knew: here was a guy who could sing and play. John did two sets and kept close attention from start to end. 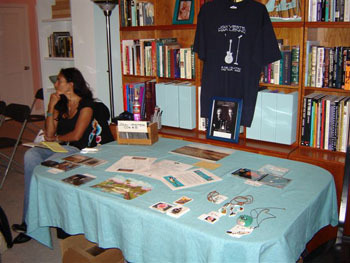 And everbody bought at least one copy of the "Half A World Away" CD. 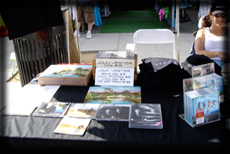 The last copies of John's first CD "My Heart Is In Your Hands" sold out at the spot.